Bambini Babies and Tots opened its doors in May 2011. It is a school built on love and 26 years of childcare experience. It is not only a school, it is a second home for your child. Your child will always come first. We pride ourselves on providing a safe, hygienic environment where your child can play, grow and learn. We cater for babies and children between 3 months and 3 years. We are an Afrikaans school. English is spoken in the classes on alternate days. English children are welcome and will be spoken to in English. Your child will have the advantage of a bi-lingual childhood. We open at 6:45 and close at 17:30, Monday to Friday. Elsabe started Bambolini Centre for Early Childhood development in 1993. 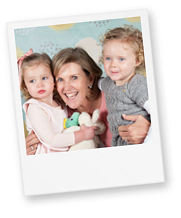 She has always loved working with children and their families. Bambolini started as a small school with only 11 children and grew into a very successful school with over 300 children. Bambini is the result of this experience. 26 years of research, study and practical implementation of childcare has laid the groundwork for this school. It is a place where children can flourish and grow. Elsabe is a qualified nursing sister who prides herself on hard work and high standards. She expects the same diligence and commitment from her staff. She attributes her success to creating a happy, clean environment where the child’s emotional well-being is placed above and before all else. Over the years she has employed people who share her ideals and love for children. Her staff is dedicated and loyal. Some of them have been with her for more than 20 years. All staff under go continuous in-house training.